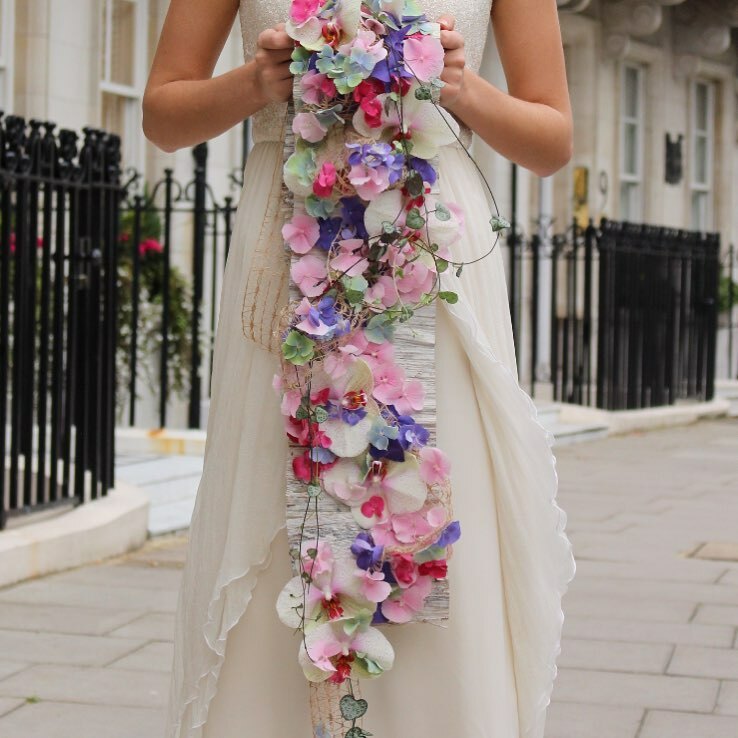 There are hundreds of pics of beautiful bespoke bridal bouquets you can find online. While most are very good, there are a few that are truly awesome. Once in a while, I come across a bouquet that in my opinion, is really worth sharing with my readers. 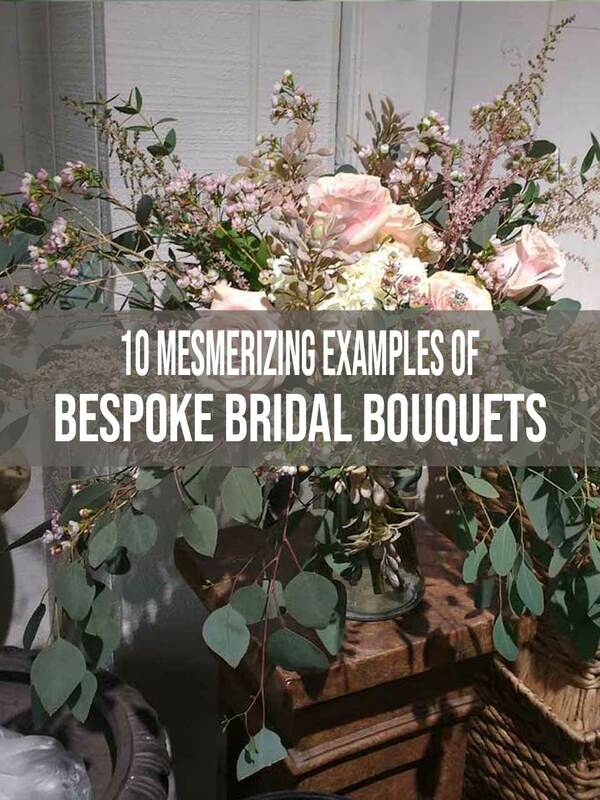 Heres are ten pics that I think you’re going to really love, especially if you love the look of bespoke bridal bouquets. Check Tehm out and see if you feel the same way as I do! Love the subtle use of Rex begonia foliage in this bridal bouquet! 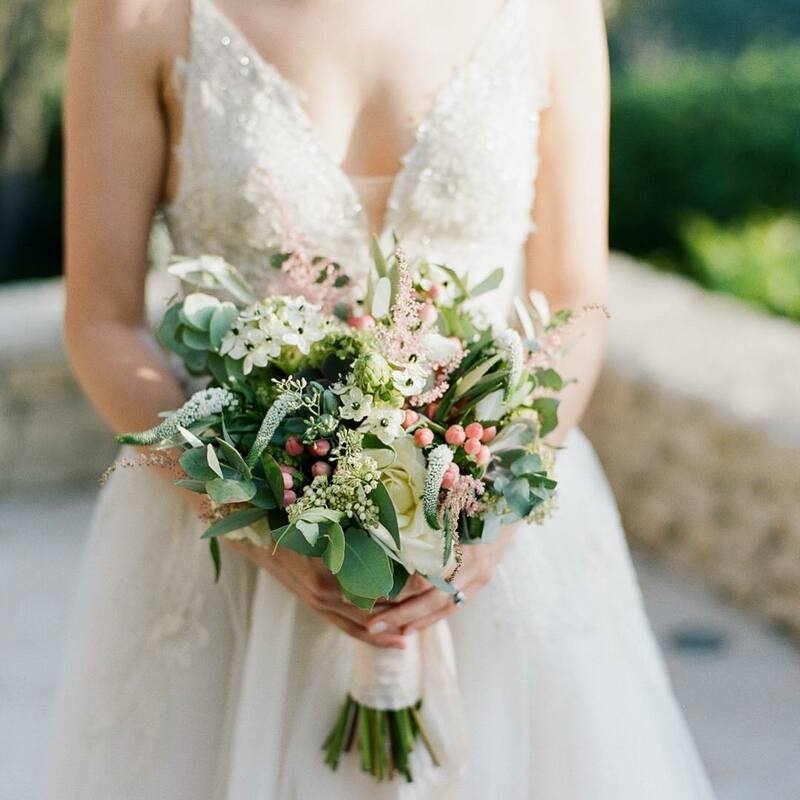 A rustic bridal bouquet that we love! Blushy peach David Austin roses, white eustomas, dusty pink amaranth and mixed foliages. A stunning bridal bouquet that’s elegant, sophisticated, and bespoke. 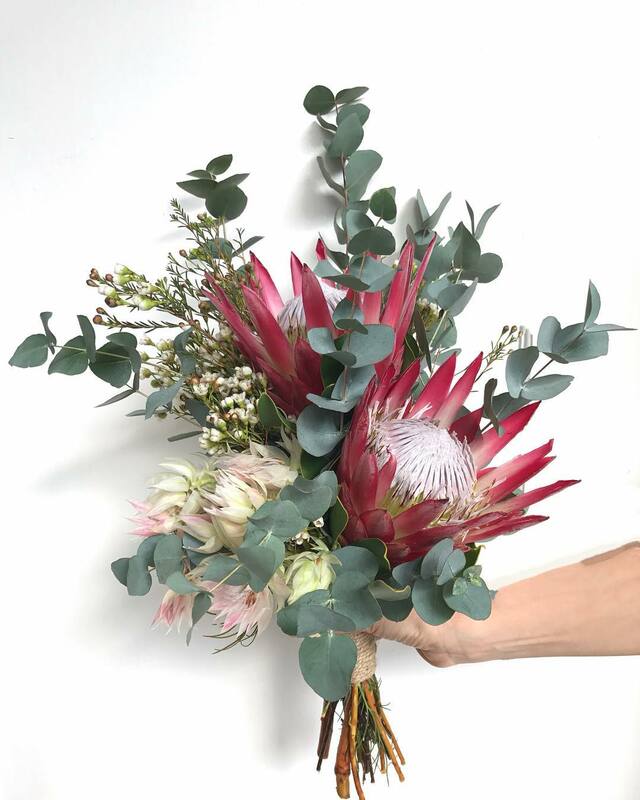 A perfect bridal bouquet for a rustic wedding, featuring king protea, blushing bride protea, waxflower and eucalyptus! A rustic look and feel was the obviously the inspiration for this garden-style bridal bouquet. 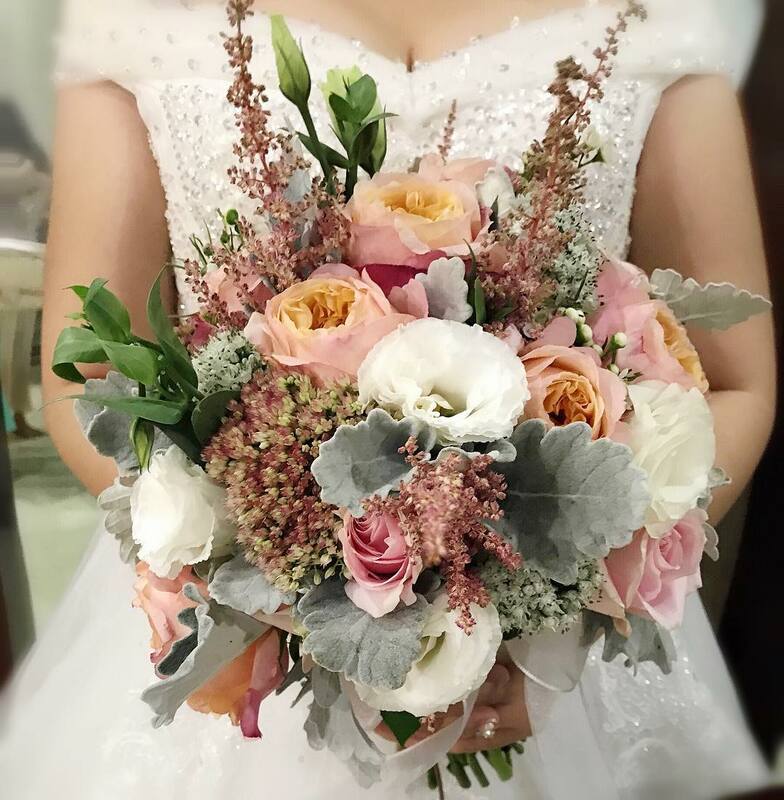 An elegant yet natural bridal bouquet combining Veronica, stock, garden roses, astilbe, eucalyptus, olive branches and more. 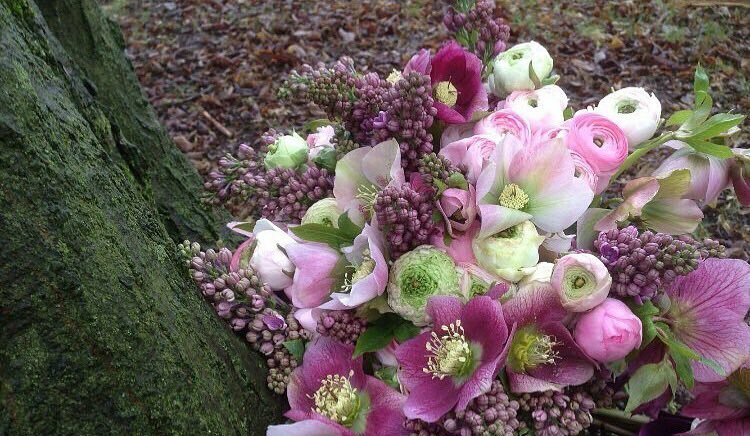 Love this bridal bouquet featuring hellebores, ranunculus, and lilacs! 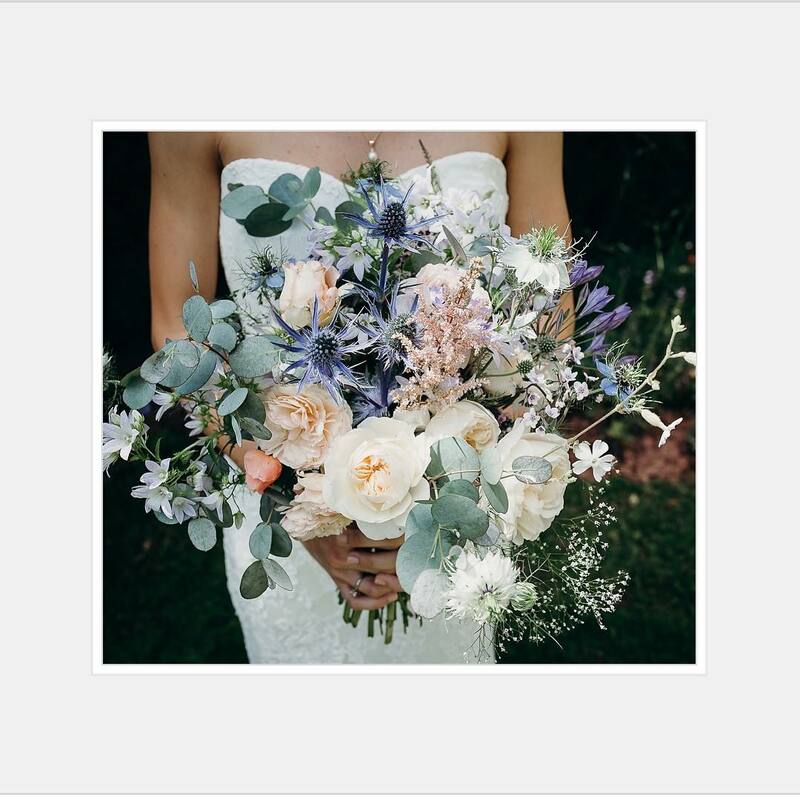 Beautiful soft blue and peach-toned bridal bouquet, featuring a variety of garden flowers. 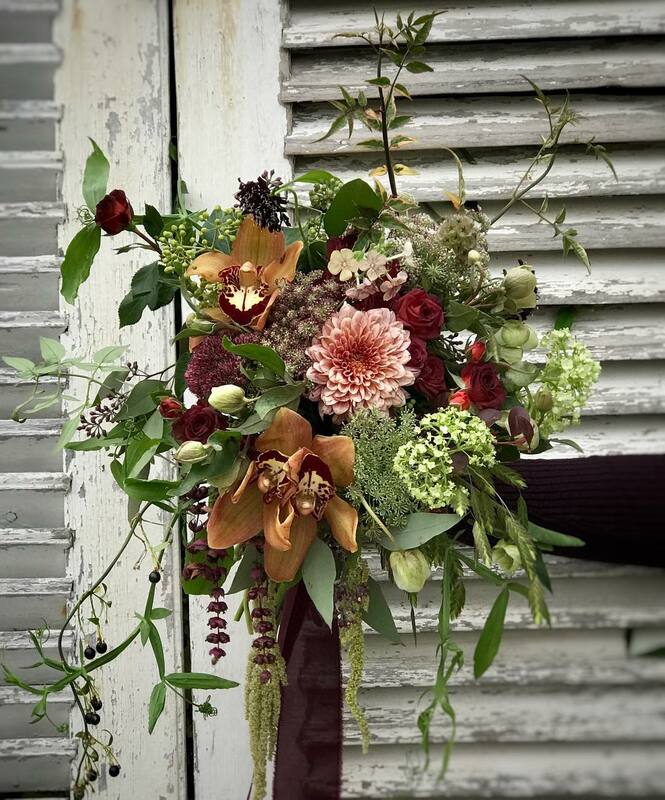 Another awesome bespoke bridal bouquet we really like! Awesome, right? I was hoping you’d like them. And while we’re on the subject, all the flowers used in these bouquets can easily be found online. 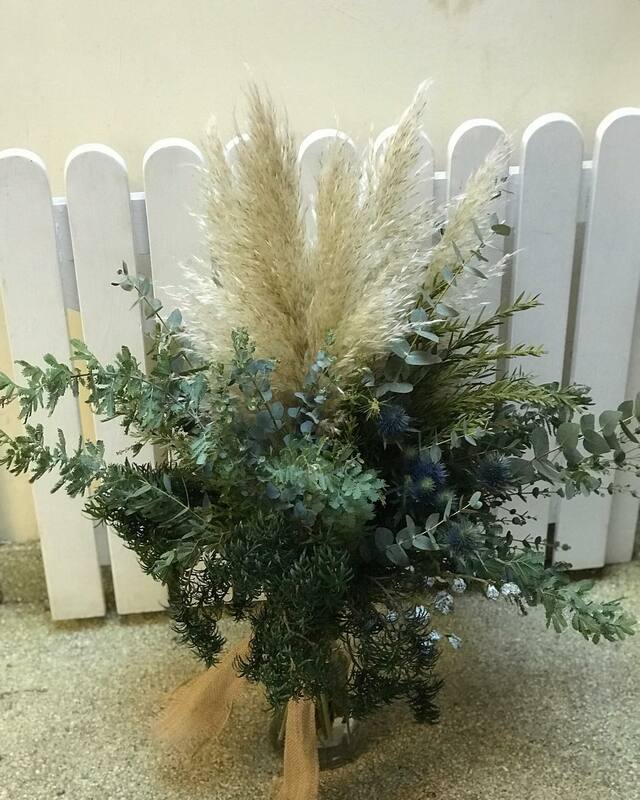 You can find them at websites such as GlobalRose, FiftyFlowers and BloomsbytheBox. These three are ones that I’ve personally experienced. There are others that look really good as well, like WholeBlossoms and BunchesDirect, but I admit I don’t have any personal experience with them. If you’re just doing a bouquet or two and just need a small number of high-quality flowers, I usually recommend purchasing them from your local florist. If you plan on substituting a few silk blooms, you can find an outstanding selection online at sites like NearlyNatural, or at many craft sites such as Michaels and Hobby Lobby, or by ordering them through your local florist. One additional tip, if I may. If you do plan on using silk flowers, I usually recommend using fresh greens whenever possible, as they will keep your wedding bouquet appearing more lifelike. Alright, so to start on the right foot, I’ve gotta clear the air. To be perfectly honest, my own selfish needs are really what prompted me to create this site. You see, I can’t seem to get enough when it comes to amazing wedding flower photos (like the bespoke bridal bouquets you just finished viewing), and a cool site on which I could share my favorites is really what I was after. As I’m sure you can tell, I’m not one to pull punches. But just know… in no way is it my intention to sell you anything. So keep on coming back! I’ll be sharing more and more great photos and videos covering general categories including flowers, plants, and weddings… just for starters. Whether you’re interested in being notified or not, I’d still be very grateful if you’d click on the Facebook “Like” button or the “Follow Me on Twitter” button (or both), on the right of this page. Lastly, your comments are very much appreciated. You’ll find the comments section below. 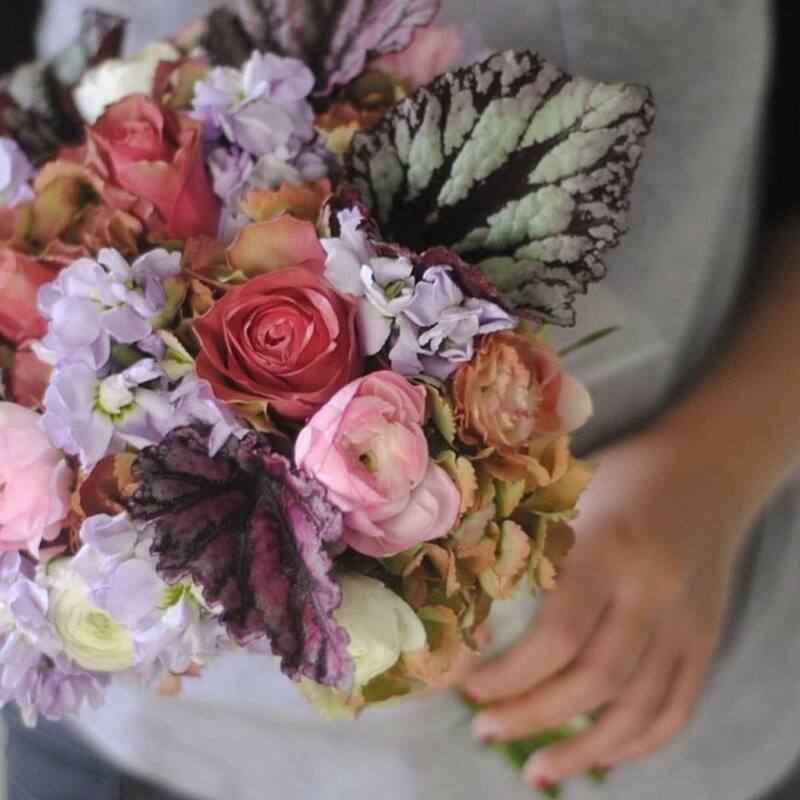 Please let me know what you thought of these bespoke bridal bouquets, okay?